Discovered by: Kim Behrens who relayed the information to Aaron Bowman for a positive ID. Relative Rarity: One prior record from the Anchorage area in 2012. Saw and DOCUMENTED by only TWO other people. Relative Rarity: Almost annual occurrence in Anchorage, Alaska…perhaps bi-annual. Previous reports in the early summer and then again fall of 2014, the fall of 2013, the fall of 2011, the fall of 2008, the fall of 2004, and the fall of 1979. Seems like the fall has it! Spring or fall, it’s a regal bird! Join us for a great tropical adventure as seen through the lenses of two stunning photographers—Barb and Hank Krizman. 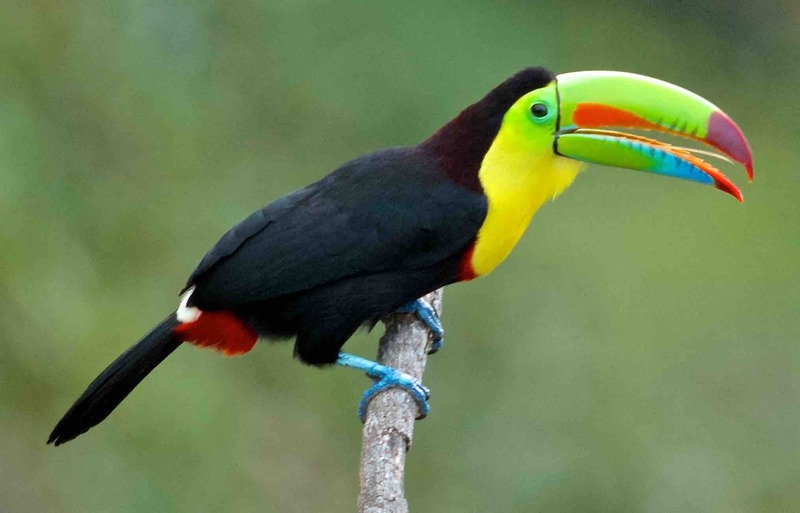 Their recent trip to Panama yielded a treasure trove of incredible birds that they’ll share with us. It’s just the kind of warmth we need when the snow starts to fall. And of course, cookies will be served! This year’s count will be Sunday December 19th followed by the Tally Party and Chili Feed Potluck at the UAA Student Union Cafeteria (same place as last year). Relative Rarity: Probably the third report in Anchorage ever. Location: Portage Valley, AK – Williwaw Salmon viewing area about 45 miles south of Anchorage. 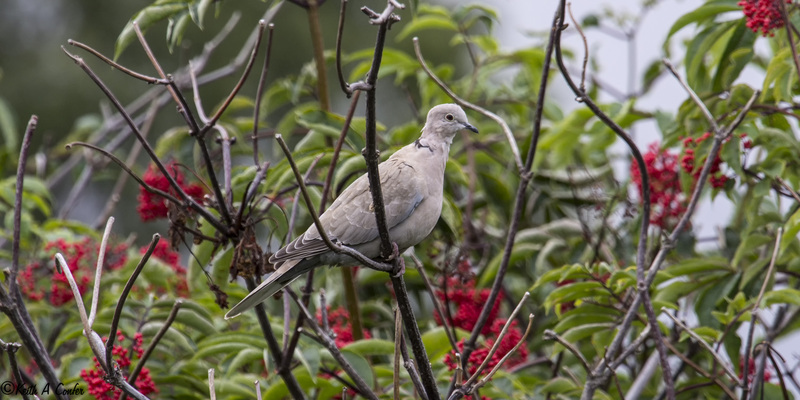 Relative Rarity: Locally rare in the Anchorage municipality with reports of two birds in 2013 and one report of one bird in 2012. Potentially under reported in the Anchorage area and 2015 seems a banner year with quite a few reports. 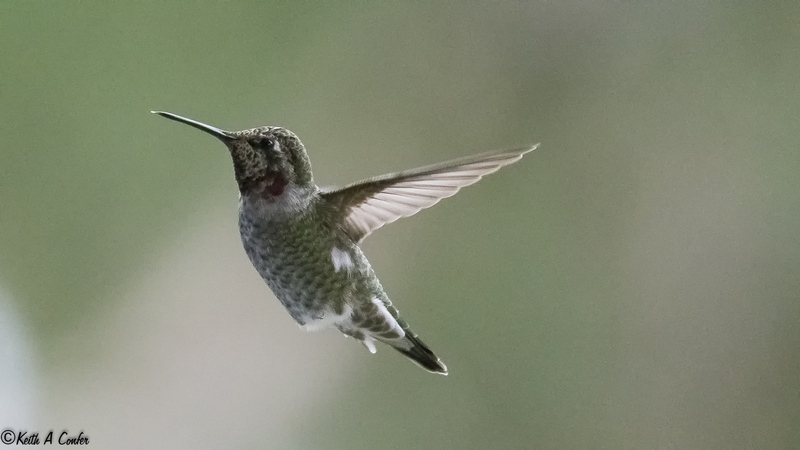 Relative Rarity: First ever report in the Anchorage Area. Relative Rarity: First Anchorage record. 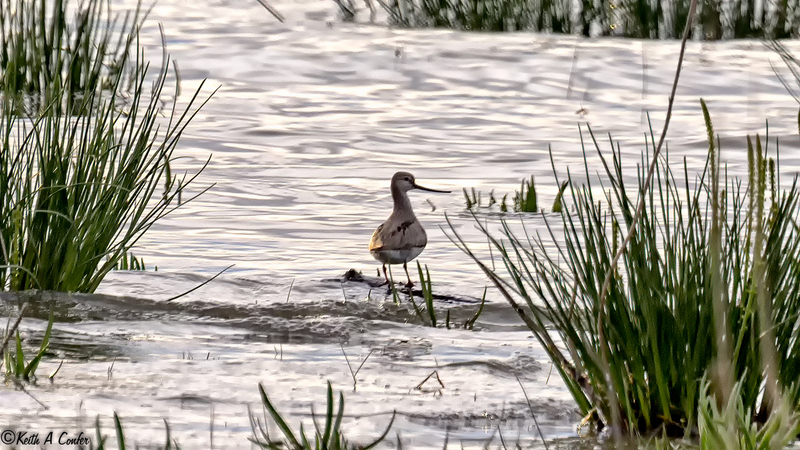 Relative Rarity: The summer, 2015 Terek Sandpiper represents the 8th record for the Upper Cook Inlet Region (previous Anchorage records included singles along tidal flats 18 June 1977, 10-16 June 1979, 14 August 1982, 27-28 June 1984, 6 July to 1 August 1987, 8-9 June 1990, and 8-15 July 1998). 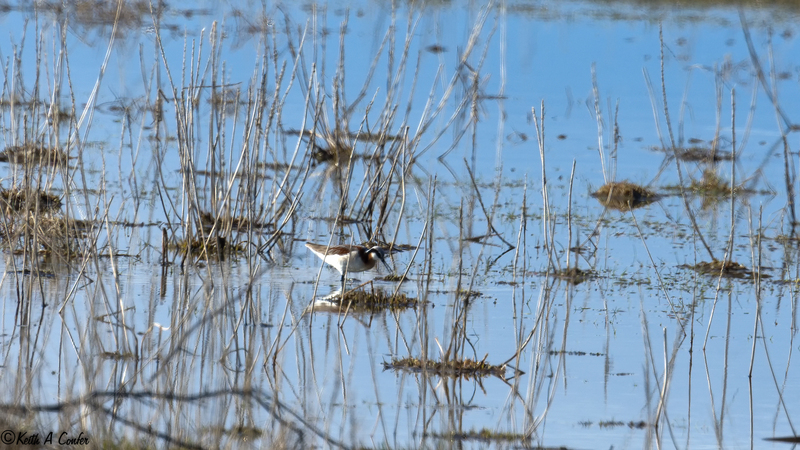 Further, and most incredible, all but one of the previous records were of birds found on the mudflats between Fish Creek and Chester Creek – must be some choice mud! Relative Rarity: Some reports in South central, AK including the Kenai Peninsula and the Goose Bay area in 2014 and 2015. Last seen in Anchorage in 2007, prior to that 2006, and prior to that in 1985. The First Day of Spring was Celebrated! We Came, We Saw, We Birded! Another Audubon Cutthroat Competition Entered into the Annals of History!! Holy Moly! What a Big Day! The tallies were remarkably similar, and here are the results: The $37.00 prize for 37 species is a tie between Kenna Sue, Karen, Lynn, & Louann and the Thede/Nils/Keys/Rick team. They each will take home $4.62 which comes out to a whopping $.23 per hour (based on the hours the Ladies’ Team put in. Trapper Dan came in with ONE LESS! species at 36. Aaron and Enric followed with 34. Keith and Tyler came in with 26 species. 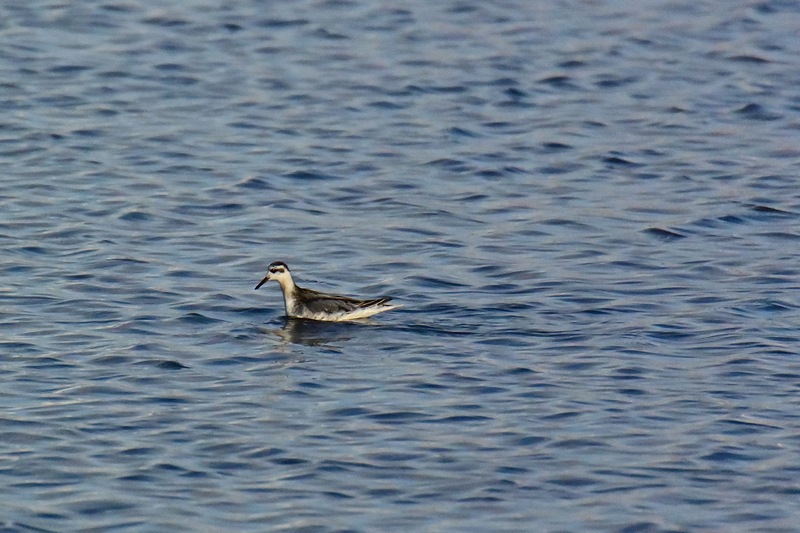 Overall, 43 species were seen. 25 Species were seen by every team. 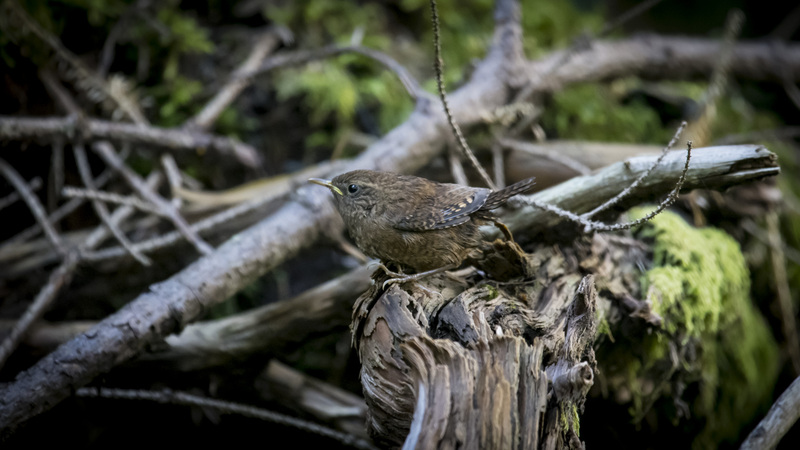 4 species were seen by only one team: The Ladies team had a Saw-whet Owl and Thede/Nils/Keys/Rick found Merlin, Glaucous-winged Gull, and Golden-crowned Sparrow. 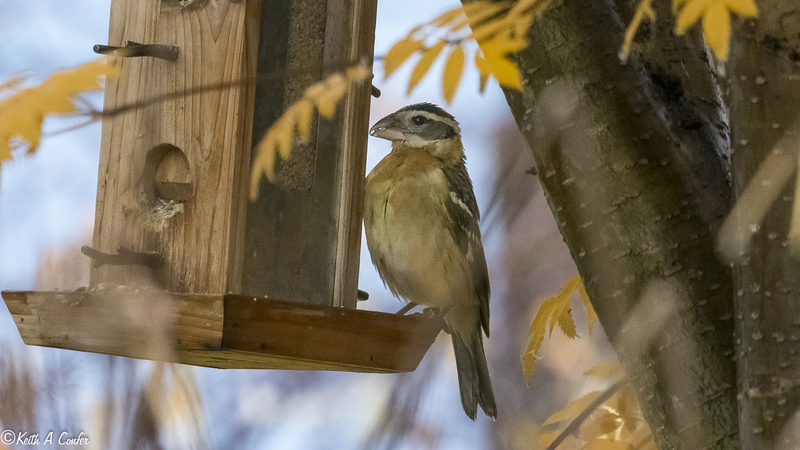 Six species were only seen by two teams: Barrow’s Goldeneye, Willow Ptarmigan, 3-toed Woodpecker, Gray Jay, Brown Creeper, and the Chipping Sparrow. It was a brutal day. Kenna Sue says she quit at 11:59. I wimped out, called it quits at 11:50, and headed home. Owling did not work out for me. Shortly after 8:00, I drove 35 miles to my personal hotspot of the Eklutna Lake Road. I drove 10 miles up and 10 miles back stopping every quarter mile to listen and sometimes play calls. After 18 miles and only 2 miles up from the start of the road, I heard ONE Boreal Owl. Getting back to town at 11:00, I figured I might as well head up to Potter Valley Road and the back side of the marsh and got Zippo. In contrast, Kenna Sue reports that they started at 4:30 and the first bird was a Saw-Whet Owl on Lynn’s porch! Some guys have all the luck. Aaron ran into everyone else during the day. Our team saw everyone except Keith and Tyler. I’ll send some photos Rick took during the day including the group shot when everyone except Keith and Tyler were at the Finch Spot. Thanks to all for a fabulous day! 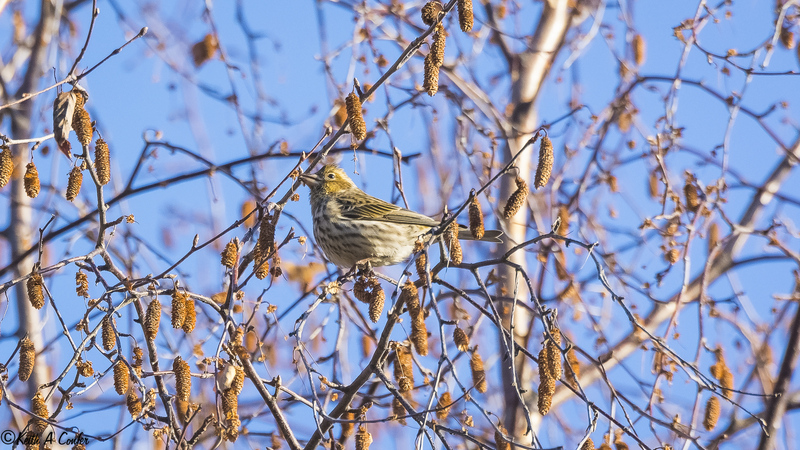 Next week it’ll be Spring, and what better way to celebrate than by scouring the Anchorage Municipality for birds. From Eklutna to Portage–How many species can your team find in 24 hours from 12:01 am until the following midnight? Bird as much or as little of the 24 hours as you like. See them, hear them, and write them down. Send a donation to Anchorage Audubon ($5 per person with a maximum of $20 for the whole team) at PO Box 101161, Anchorage, AK 99510-1161. Email your results to the same email address at the end of the day. One Dollar per species will be awarded to the winning team! Imagine making money by going birding! The winners could make as much as a whopping $35 or $40 for only 24 hours work. That’s $1.67 per hour which is more than most birders earn in a lifetime! There’s no better way to welcome Spring! Complete rules and detailed instructions are on our website at www.anchorageaudubon.org. Can your team find this Chipping Sparrow? Relative Rarity: Casual in Anchorage (except seemingly in 2015). Another group of eight birds reported by Peter Scully off Pt. Woronzoff on March 7, 2015, Another group of two birds reported by Peter Scully off the Kincaid Park Motocross Track on March 8, 2015. Between three and ten birds seen by many off Pt. 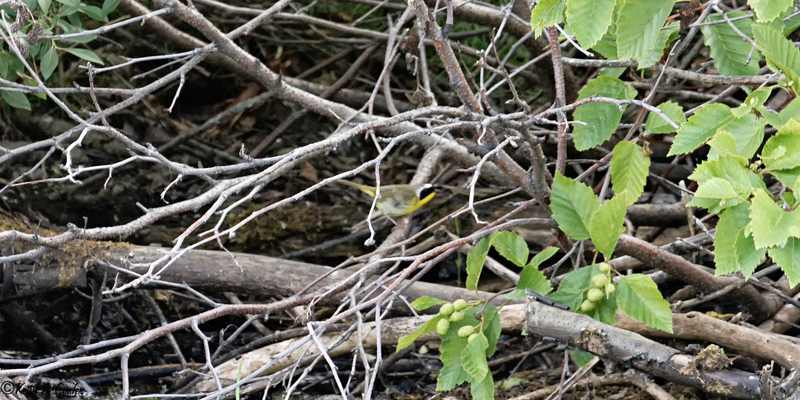 Woronzoff on July 17, 2015 and finally another single bird off the Audubon Bench on the Anchorage Coastal Trail on July 29, 2015. 2015 was a banner year for Common Murre in Anchorage, AK! Location: Anchorage, AK – Chester Creek Nature Trail upstream from Spenard Crossing. Our January program will finally present the December talk which was unfortunately cancelled due to an encounter with an unknown illness which got the better of our esteemed speaker. But once again, Anchorage Audubon presents another fabulous birding talk, and this one will be a total treat to start your New Year! 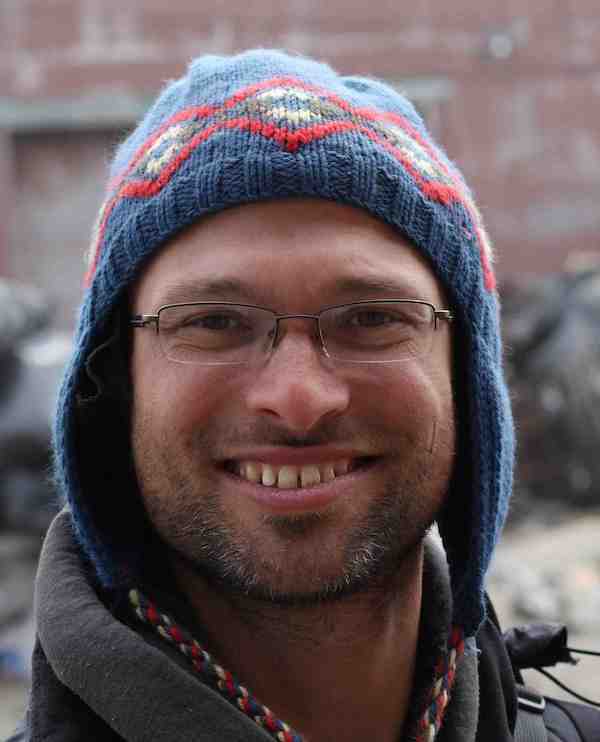 Aaron Bowman, Anchorage Audubon’s Field Trip Czar, has been on a year-long quest to do an Anchorage Big Year. And now that it’s over, and Aaron will share his quest with us at this month’s meeting and program. 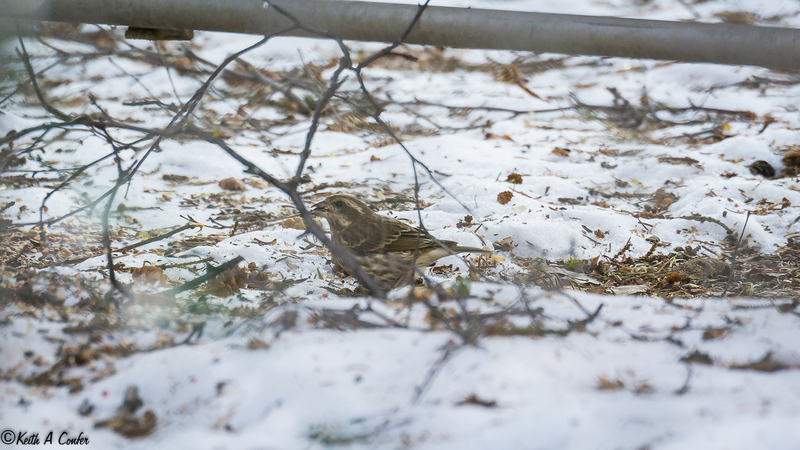 During 2014, Aaron scoured the Municipality and has found at least one “First Ever Anchorage Bird” which turned up on the foulest day of the year. Only Aaron would have even left the safety of his house on that day! Aaron’s Big Year is a glimpse into what we can all find without leaving our own back yard, and it’s an evening you won’t want to miss. And we wouldn’t even think about starting the New Year without cookies!